Working with an injured athlete prior to surgery has proven to be a game changer when it comes to the athlete’s approach to surgery, pain management, and the rehab process. Helping athletes work through rational and irrational fears about surgery, processing concerns about the impact the injury will have on their performance, calming their anxiety about the rehab process, and gaining clarity about their identity as an athlete all help the athlete approach surgery with less fear and anxiety. A calm brain produces fewer stress related hormones so the mind and body have a remarkably different experience of surgery than the athlete who goes into surgery tense, scared, and filled with anxiety. 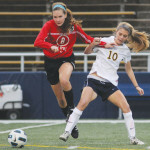 Recently I had the pleasure of working with an athlete as she was preparing to return to play after ACL surgery. This is an athlete that I saw a few days before surgery and a few more times as she worked her way through the rehab process. The surgery/recovery process has gone so well for this athlete I decided to request an interview to capture and share the power and significance that pre-surgery treatment can have on an injured athlete facing surgery. I have kept the athlete’s name private to maintain confidentiality. 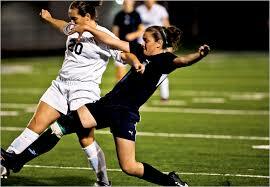 I will say that this athlete is a female high school soccer player who tore her ACL. Question: How long ago was your surgery and how did the injury happen? Athlete: About 8 months ago. I was going after a 50/50 ball on the soccer field. We collided and I tore the ACL in my left knee. Question: How did you feel immediately after the injury? Athlete: I felt “crappy”, devastated, scared, mad, upset, and sad. I wished it had not happened. I immediately started having all of these questions run through my mind. Questions about my future…Will I be able to come back? How long will it take to come back? Why did this happen? Question: How did you find your way to The Institute of Sports Performance? Athlete: My mother wanted me to have every kind of support I could have. She new I was suffering and upset so she started asking around. A therapist here in Houston told my mother about Robert Andrews, so we set up an appointment before my surgery. Question: What was your reaction to your mother’s suggestion that you see someone to address the mental and emotional impact of your injury? Athlete: At first I thought it was weird. I wasn’t excited. But she explained how it would help, and it made sense. Then Mr. Andrews explained everything in a way that just made more sense. After he explained how the brain works and how it handles high stress events, I was excited that I had this help going into surgery. Question: How did you feel when you thought about having surgery? Athlete: I was scared and anxious about the pain. I was really afraid of how painful it was going to be. Question: Did you have any specific images in your mind about surgery, and how did you feel when you saw these images in your mind? Athlete: Yes I did. I kept seeing images of the doctor opening my knee up and another image of me being surrounded by doctors in surgery. The images were there whenever I thought about going into surgery, and they made me feel scared and anxious. Question: What work did you do with Mr. Andrews prior to surgery? Athlete: We did some work with light, eye movement, and sound (EMDR) that focused on the scary images I had in my mind about surgery. By the time we finished with the first session those scary images were gone. I felt so much calmer. The fear and anxiety were gone. I was confident and ready for surgery. I even had a new image in my mind of everything going well in surgery. The day of surgery I felt pretty calm. Question: How did you feel after immediately after surgery? Athlete: I felt great! I didn’t have a lot of pain. I was more concerned about the rehab process, but I saw Mr. Andrews again about that. We did some work that calmed my anxiety about rehab. After that I was very confident and attacked my rehab process. Author’s note– this process is not a guarantee that injured athletes will suffer less pain in surgery. There are many different types of ACL reconstruction surgeries, some more painful than others. Overall, I frequently hear reports from athlete’s saying they approach surgery calmer and with less anxiety. Many also report experiencing less pain. Question: How do you feel now eight and a half months after the injury? Athlete: I feel great! I continue to do my rehab with the goal of continuing to get stronger. I am back at practice, and I feel more confident. I have no pain and feel “normal”. I am definitely more confident than I thought I would have been at this stage of my recovery. Working with Mr. Andrews helped me be more patient about my rehab process. I have done great. Question: When you think back to the point in time when you were injured, what do your think about and remember? Athlete: I don’t really remember the injury. I see the rewritten version in my mind where I don’t get hurt. The old scary image of me getting hurt isn’t stuck in my brain anymore like it was when the injury first happened. Question: Would you recommend this treatment process to other injured athletes? Athlete: Yes I would, and I have. My mother tells everyone and I tell everyone. Seeing Mr. Andrews before surgery really made the difference for me. I thought I would be afraid when I came back, but I am not. I tell everyone how great I am doing. I am doing so much better than everyone thought. I am grateful to this young athlete for sharing their process and experiences with me. It is important to get this information out. I believe we can dramatically alter the amount of fear, anxiety, anger, depression, and suffering injured athletes experience when injured. After ten years of working with athletes I have seen thousands who have suffered serious injuries. These injuries include ACL injuries, Tommy John, broken ankles, legs, arms, and collarbones, shoulder injuries, and concussions. I have also seen baseball and softball players who have been hit by pitches, taken bad hops, and line drives back to the pitcher. Gymnasts and cheerleaders who have suffered bad falls and injuries, and pole vaulters who have broken ankles or suffered knee injuries also come to see me. Each of these injured athletes goes through an extremely high level of stress and possible trauma when injured. The part of the brain that is designed to protect them and keep them safe (the limbic system) is engaged. Calming this limbic system down before surgery is the key. As a result, they approach surgery with less anxiety, less fear, and they attack the rehab process with more determination and confidence. These athletes return to play absent of the debilitating fear of re-injury. Many athletes learn a lot about themselves during the injury/recovery process. They develop key parts of their personality. They learn to be tougher, more focused, resilient, and grateful. They reconnect with the love and passion they experienced before the injury. This time of year I receive a lot of calls from gymnasts and cheerleaders or their parents about one common problem. The gymnasts or cheerleader just flat out can’t backward tumble. No matter how hard they try or how much they want to tumble, they just can’t. By the time they reach me they have been through extended periods of frustration, anger, grief, and embarrassment. Parents and coaches are frustrated too. They have tried “everything” and nothing has helped. Parents have spent all kinds of money on “privates” and coaches have tried being nice, yelling, spotting, not spotting, giving the athlete time off, kicking them out of the gym, or threatening to demote them to a lower level team. Nothing seems to work. Sometimes this tumbling block goes on for years. Many leave their sport because they can’t overcome the blocks and have grown weary of the mental and emotional toll that not being able to tumble has taken. Self confidence is eroded, families are devastated, and coaches are at a loss. The athlete has suffered a serious injury related to their sport. This injury is usually caused by a fall. The injuries I usually see are knee injuries, back or neck injuries, broken arms or hands, or concussions. 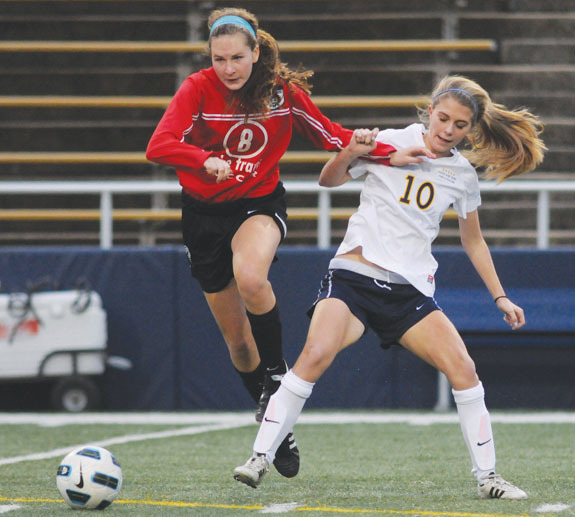 The athlete has seen a teammate or someone else experience a serious fall or injury. The athlete is overwhelmed by stressors related or not related to the gym such as family problems, issues with a coach, bullying, school struggles, and others. The first thing to understand in each of these cases is that the athlete wants to tumble. Their brain just won’t let them. A primitive part of their brain has taken over functioning of their body and it will not let them tumble. The brain interprets tumbling as a threat to the athletes safety and well being and basically shuts down the bodies ability to tumble as a protective mechanism. The inability to tumble is a cry for help. The brain is saying that it is overloaded and needs help processing all of the information it is struggling to process. Pressure from coaches and parents only intensifies the problem and makes the symptoms worse. Constantly asking or saying “why can’t you tumble?”, “just do it”, yelling, and kicking the athlete out of the gym do nothing to help the athlete through the problem. It takes hard work but change can take place. By teaching the brain how to process the original threatening experience, the fall or the injury, the primitive part of the brain turns control back over the the neocortex, the part of the brain that handles “regular” or normal activities. This is done by utilizing two specific processes that accelerate the integration and processing of information in the brain. Eidetic Imagery, and Eye Movement Desensitization and Reprocessing (EMDR). These two processes work with the negative images in the athletes mind and teach the brain and nervous system how to process emotion, sensation, pain, light, sound, and most importantly fear associated with the key event very quickly. If the lack of tumbling comes from the “system” being overloaded, meaning the athletes brain is trying to handle too many things at one time, the work is different. We focus on identifying stressors and teach life skills and techniques for managing these stressors. This allows the brain and nervous system to calm down. In some instances EMDR work is also done to accelerate this process. There is hard work involved for the athlete to get better and return to tumbling. It takes openness and vulnerability to work through the fear, self doubt, embarrassment, and shame that they have experienced. The more open an athlete is with me and the more willing they are to be vulnerable with their fears and self doubts the better the results. This process is very powerful but there is also a responsibility on the athlete to work hard on their mindset. The thoughts, attitudes, and perceptions that they allow into their mind play a key role in this process. They must train their mind to be positive. If they don’t, all the hard work we do will not result in them recovering the ability to tumble. At the end of this process the athlete can go back to their sport absent of the mental blocks and the shame and embarrassment that goes with not being able to tumble. Tumbling becomes fun again and that is the most rewarding part of my work with these athletes. These athletes desperately want to tumble again, to be a part of their team, to do skills that they used to love to do and could do without thinking. To return to that free place in their mind again is life changing. By learning to work through these blocks they access parts of their personalities that they might never had accessed if the blocks had not occurred. They return to their sport wiser, smarter, more mature, and grateful to be able to participate in their sport again with passion.